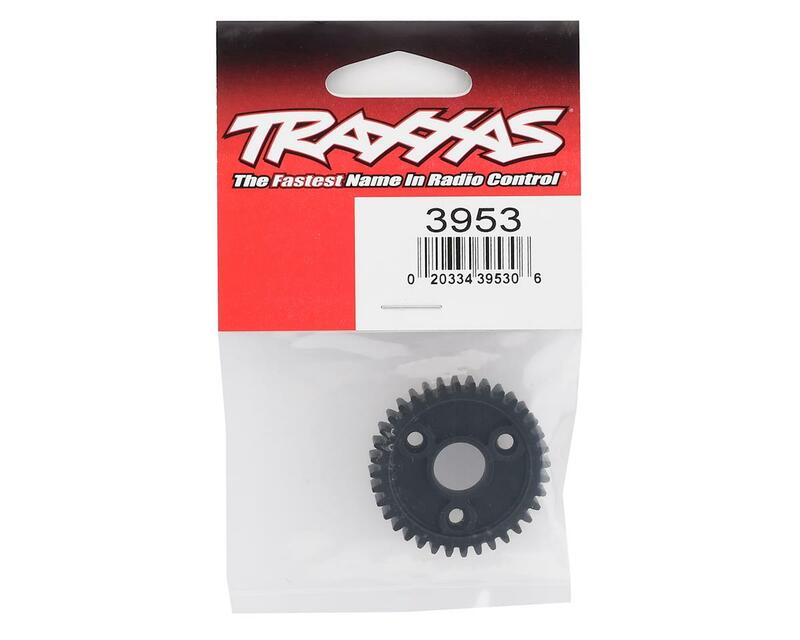 This is the optional 36 tooth spur gear for the Traxxas Revo monster truck. This spur gear goes on the gear box to transfer power from the clutch bell on the engine into the transmission case. 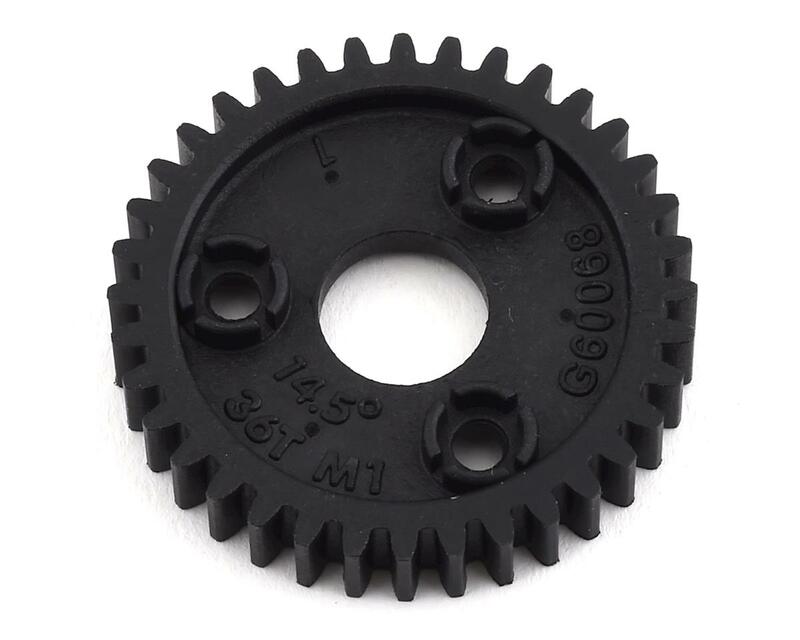 The stock spur gear is a 38 tooth gear, so this 36 tooth gear will provide more top end speed with less bottom end acceleration than the stock gear. Optional Traxxas Revo spur gears allow you to increase or decrease the final drive ratio and tune for different applications.